Devens, Mass. 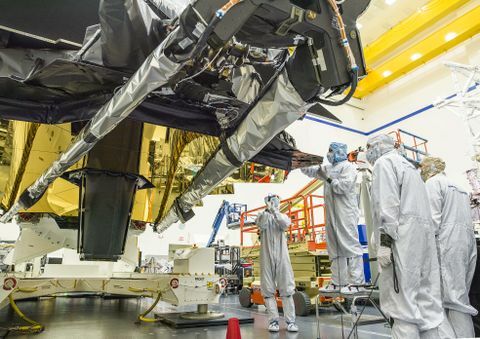 – June 11, 2015 – Designed to significantly advance the science and technology supporting exoplanet research, the PICTURE B mission by the Center for Atmospheric Research at the University of Massachusetts, Lowell, reached a major milestone. The primary mirror, engineered and built by AOA Xinetics, a Northrop Grumman Corporation (NYSE:NOC) company, was delivered and accepted by UMass Lowell. UMass Lowell's PICTURE B, the Planet Imaging Coronagraphic Technology using a reconfigurable experimental base, is a two-phase program that will measure the debris disks and exozodiacal dust that surround nearby stars. Accurate measurements of dust are a critical part of exoplanet research, as the data will enable astronomers to assess the impact of the debris and dust on their observations, thereby improving their ability to identify and study such planets. "PICTURE B cannot help but have an important impact on exoplanet science and our understanding of our place in the Galaxy," said professor Supriya Chakrabarti, of UMass Lowell's Center for Atmospheric Research. "This is an extremely exciting project and we are very pleased with the work from AOA Xinetics to help make it a success." 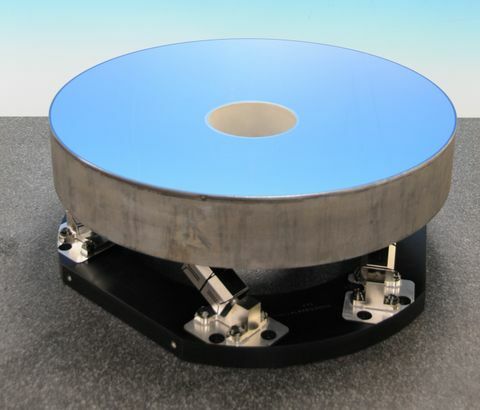 To support the scientific goals of PICTURE B, AOA Xinetics engineered a robust 22-inch diameter silicon carbide mirror with exceptional performance due to the aspheric optical figure, low thermal expansion and high thermal conductivity. The mirror has proven its soundness for flight through extensive analysis and environmental testing. "AOA Xinetics is very excited to partner with Dr. Chakrabarti and his team on the PICTURE B mission and proud to be a part of the effort to identify earth-like planets," said Michael Sheedy, business area manager, AOA Xinetics. 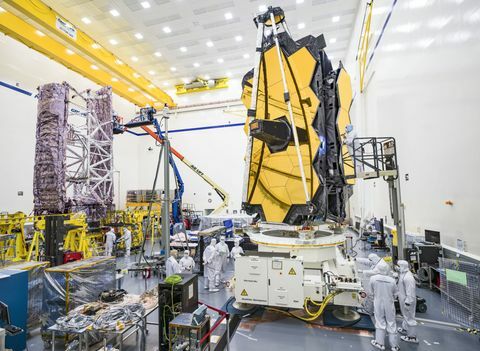 "In our on-going work supporting coronagraphic missions, we provide the precision optics and optical systems necessary to satisfy some of the most stringent requirements placed on ground- and space-based imaging instruments. Our silicon carbide mirrors are a new generation of high performance, lightweight mirrors for astrophysics ideally suited for the PICTURE B mission." The first flight of PICTURE B is currently scheduled for launch aboard a NASA Sounding Rocket in Fall 2015. The initial flight will collect data from the debris disk around Epsilon-Eri, a bright star expected to be harboring a planet in its dust ring. AOA Xinetics, a Northrop Grumman company, designs, develops, and manufactures a wide variety of standard and custom electro-optic and optomechanical systems for government, industrial and commercial customers. Since its inception, AOA Xinetics has been manipulating light from the corner grocer to the edges of the universe, providing customers with the highest quality products and services. Northrop Grumman's Aerospace Products business unit offers advanced capabilities to customers on earth and in space, and is a leader in bringing new technology to market. 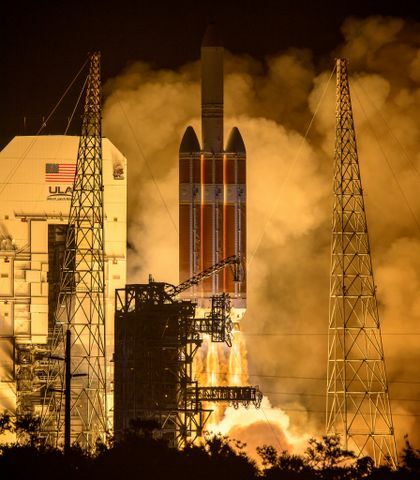 With expertise ranging from high powered lasers and adaptive optics to microelectronics and reliable space products, delivered via agile, focused business units, the Aerospace Products team partners with commercial and government customers worldwide. Please visit www.northropgrumman.com/aox for more information.